Mr. Blakney’s contributions to motorcycle competition are diverse and numerous, including official, promoter, sponsor, media, business, and clubs – offering such assistance locally, nationally, and internationally. 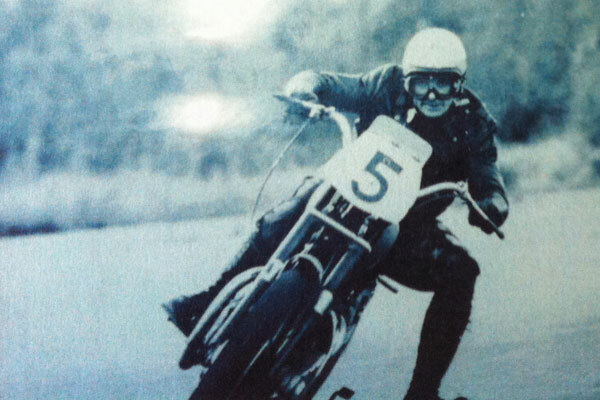 His aggressive riding style won his championships and races – between 1951 and 1966 his list of firsts and seconds is nothing less than amazing. It is estimated he has over two million miles under his belt in his 71 years of riding. In 1952 he was instrumental in designing “The Ranch”, a track and play ground in Petitcodiac (NB). Besides Canada, he has competed in the U.S., Australia, and New Zealand. At 82, he is still an avid cycle rider.